Seriously? A video of a model train environment violates your Community Guidelines? Reading every line patiently I don’t see anything in those terms that justifies the deletion of my model train video. 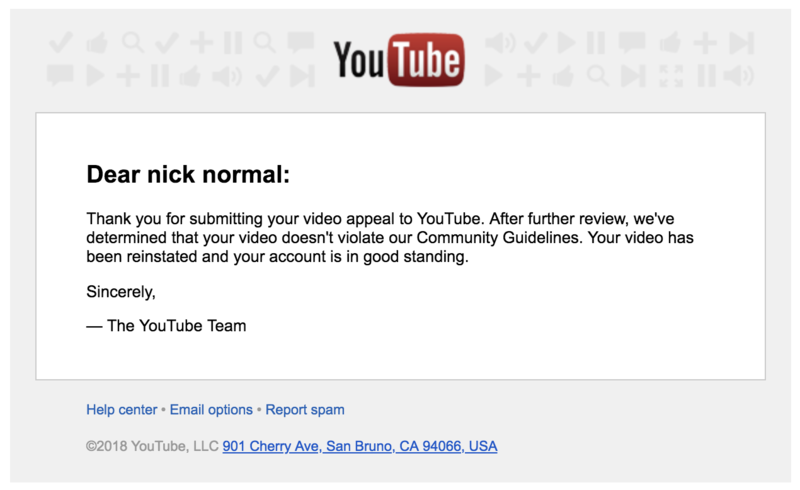 And mind you as the original email states the video was automatically “flagged” (likely by software, algorithm) but “Upon review, we’ve determined that it violates our guidelines.” In other words “upon review” suggests a human inspected the video and found gross violation of Community Guidelines when a model train crosses over a model bridge, in black & white video. I immediately appeal this whole meshugaas. I have no time to lose or even review what I’ve written, but I know I haven’t intentionally violated anything so the appeal should be upheld. I send the appeal. I now have to leave for work like now – thanks for wasting my morning, YouTube. Gee, thanks. It’s a video of a model train environment. 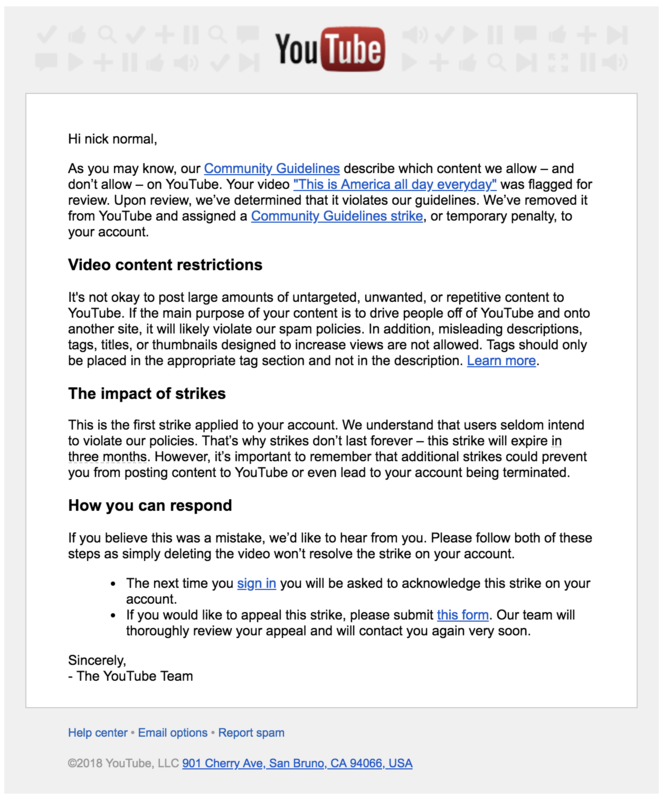 The offending video is below – and needless to say my additional (polite) messages to the YouTube and Google teams inquiring about what exact guideline this video violated have gone unanswered,even unacknowledged. It makes one not even want to upload to YouTube, which has grown increasingly fond of money-making ‘stars’ (and their policies) and less interested in ordinary user videos, videos for the sake of, and regular schmucks not out to make a buck off advertising revenue. But what really stings is the language used suggested that a human was involved – “upon review” – which really makes me question YouTube’s internal practices and policies. The whole thing was just stupid – and it doesn’t help that YouTube doesn’t keep tabs on the details or acknowledge the user’s complaint or presence. 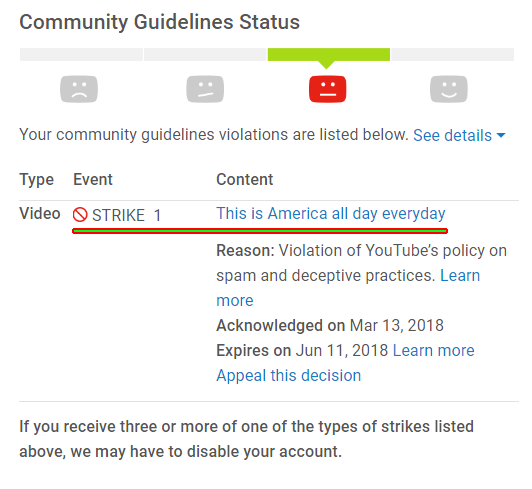 TL;DR: the strike is on you, YouTube.